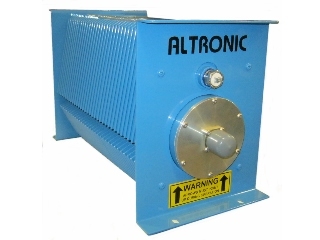 Altronic Research now offers Oil Cooled RF Dummy Loads that demonstrate the same reliability that all Altronic dummy loads are known for around the world. While providing better RF characteristics than what has previously been available, these loads also have better RF stability under full power. By utilizing Power Film Systems’ low TCR proprietary resistors along with higher performing cooling dielectric oil, these loads provide superior results not seen in the industry. A thermal interlock is a standard feature on these loads and will automatically shut down the transmitter when properly connected if an overheat condition occurs. Choose from our Maximum Stability, High Performance, or UHF Digital Series. The 1100MS (Maximum Stability) Series has been specifically designed for the Semiconductor and ISM industry of operation at 13.56 MHz in the frequency range from DC to 60 MHz. 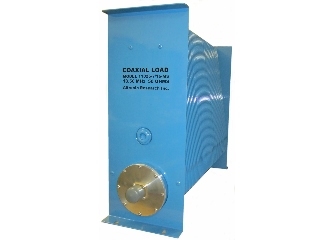 The 1100D (Digital) Series Oil Cooled RF loads operate in the 470-890 MHz range, offered in 1KW to 10KW, while demonstrating the same reliability that all Altronic dummy loads are known for around the world. 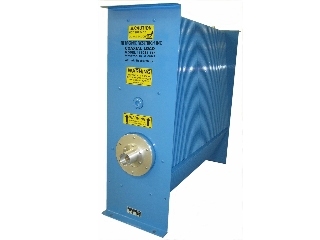 The 1100HP (High Performance) Series (from 1KW to 10 KW) currently have a frequency range of DC to 1000 MHz with a max VSWR 1.1 to 1 and have a continuous load performance up to 1 GHZ.